These pilgrims not only visited all important places, stupa and other monuments associated with the incidents of the Buddha’s early life but also elaborately spoke of them in their accounts. But it appears that they did not go to Piprahawa, nor did they mention it. Had the present day Piprahawa in Basti been a part of Kapilvastu they would certainly not have failed to describe in details the stupa and monastery of Piprahawa. The fact that none of the three pilgrims Fa Hsien, Hsuan Tsang and King Ripu Malla of west Nepal visited Piprahawa nor made any mention of it clearly indicates that it was probably not even a part of Kapilvastu during the days of the Buddha. There can be no comparison between Tilaurakot and Piprahawa. The antiquities of Piprahawa consist of a few clay seals, the ruins of a stupa from which Peppe took out the relic casket in 1898 and the remains of the monastic structure. Because of the scantiness of its antiquities, the archaeologist has now added head, one piece of terrcota horse figure and few other figurines, a few copper and silver coins, pieces of precious stones and the like and the so-called remains of two-huge palace – complexes, the larger being 30 miles square with 28 rooms, the smaller being 26 miles square with 21 rooms. Thus, both the area provided nothing of any real significance. The Buddha head or horse figurine is not at all a pre-Buddha antiquity. Archaeologist K.M. Srivastava claims to have recovered several more relic caskets similar to the ones discovered by Peppe. He even goes to the extent of asserting that one of the new caskets he has found inside the stupa contains the relics of the Buddha and that Peppe’s caskets were only later additions. This claim of Srivastava is yet to be scientifically analysed. The find of Srivastava did not belong to the pre-Buddha age. In his article published in the Illustrated Weekly of India dated May 16-22, 1976, he had said that all his findings from Piprahawa and Ganwaria are not older than the 4th to 5th century B.C. Tilaurakot contains the ruins of a full-fledged magnificent palace of a fortified capital city fenced with a tall strong wall, pentrable only through city gates built at four directions and surrounded with a wide moat. Besides a lot of polished grey ware shreds and the associated red ware shreds attributable to the 8th or 7th century brick ware and the associated red ware, attributable to the 6th or 5th century B.C. were also recovered from the Tilaurakot region during the 1972-3 excavation. It was such grandeur noticed in the region that led the earlier experts to declare it as ancient Kapilvastu. In comparison to its heritage of antiquities, Piprahawa or Ganwaria findings are quite meager. Whatever Piprahawa ruins may yield they were not dated back earlier than 483 B.C. Writing an article entitled Kapilvastu the ancient Shakya Kingdom of Nepal, Nepali archaeologist Basant Bidari said, Indian archaeologist, Mrs. Devala Mitra and K.M. Srivastava argued that the sites of Piprahawa and Ganwaria represented the old city of Kapilvastu. Srivastava claimed that the monastery found at Piprahawa and Ganwaria was the royal palace of Shuddhodana. The claim was based on seals sealings and inscriptions over the lid of a pot that were found during the excavation of the so-called palace at Piprahawa. The inscriptions read, Om devaputra vihare Kapilvastu bhikshu mahasanghasa and Om devaputra vihare Kapilvastu bhikshu sanghasa. They date from the 2nd century A.D. The title Devaputra refers to Kaniska, a great patron of Buddhism, who builds the biggest vihara at Piprahawa and renovated the main stupa there. A local daily The Kathmandu Post published from Kathmandu carried a news report over this controversy in 2001. It is said that the controversy surrounding the actual birthplace of Lord Buddha- Tilaurakot of Nepal or Pipprahawa of India was finally over. British archaeologists have determined that Lord Buddha was indeed born in Tilaurakot of Lumbini in Nepal. The finding backs the popular belief in Nepal that the ‘Light of Asia’ was born in Tilaurakot in the district of Kapilvastu more than 2,500 years ago. Britain’s University of Bradford archaeologist Robin Coningham and Armin Schmidt have unearthed artifacts in a 13-foot-deep trench “beneath a swatch of gentle woodland” demonstrating that the site was inhabited during the Buddha’s lifetime and perhaps even earlier. The finding is a result of joint research carried out in the past three years by UNESCO’s World Heritage Committee and the government of Nepal. The paper adds, India claims that Pipprahawa, which lies about 600 yards south of the Nepal-India border and four miles from Tilaurakot, is the birthplace of the Buddha. This followed the 1972 unearthing of a casket containing human remains and coins bearing the legend: “Here is the Bihar of the monk of Kapilvastu” beneath a Buddhist stupa there. While the Tilaurakot site “represents the best preserved provincial urban hinterland in South Asia”, Piprahawa, by contrast, is “clearly a monastic site.” Coningham said according to the Post. The archaeologists’ team was led by Nepal’s chief archaeologist, Kosh Acharya. According to Coningham, there is an intact gate on the western side of the site and fired brick walls, but all of this is from a “later phase” of occupation. The inhabitants of the Buddha’s time built their structures of wood. Buddha is believed to have died in 483 B.C. when no central religious authority was established. The controversy that Piprahawa was Kapilvastu with an objective of distorting the birthplace of the Buddha has been raised in a different light. Now the controversy has been shifted to Lembei, a place of Orissa, where, it was claimed, the Buddha could have been born. It is not surprising that the Nepalese have reacted to the recent claim by some Indian scholars that the Buddha could have been born in Orissa. What is surprising is the restraint they have shown in their protests. The controversy was triggered at a seminar on the Buddha and Indian poet Jayadev in Bhubaneswar recently. Chandrabhanu Patel, a researcher associated with the Orissa State Museum, said that the Buddha could have been born in a place called Lembei in Orissa’s Kapileswar village. Another scholar, Satyakam Sengupta of West Bengal’s Rabindra Bharati University, supported his claim saying the Buddha’s teachings were in Pali, a now extinct language once spoken in Orissa but never used in Nepal. The claims reached Nepal when an English daily in Kathmandu, the Himalayan Times published a report on the seminar on its front page, titled “Scholars argue Buddha was born in Orissa”. It was immediately repudiated by the media and Nepalese scholars, who called it an attempt to create “unnecessary controversy and confusion”. The off the mark was a leading Nepalese daily, Nepal Samacharpatra, that immediately carried two articles, one citing the archaeological evidence that says the Buddha was born in Lumbini and the other quoting Nepalese experts who corroborated the fact. 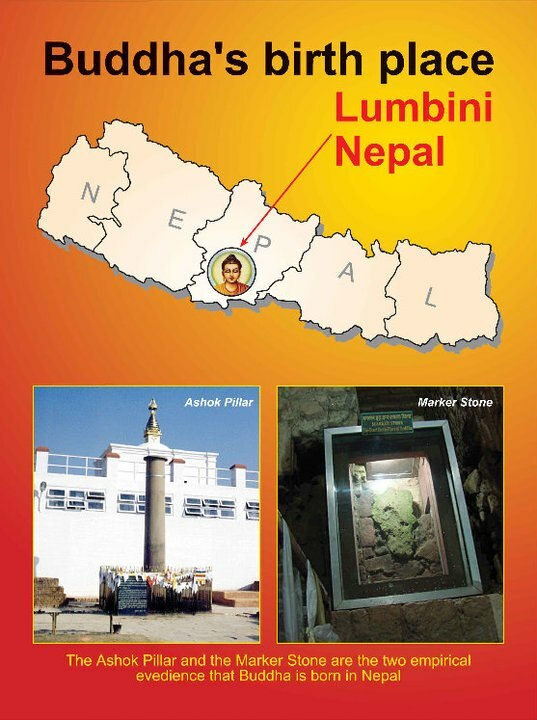 Pushkar Lal Shrestha, editor of Nepal Samacharpatra, says, “Archaeological investigations have already established Lumbini as the birthplace of the Buddha. 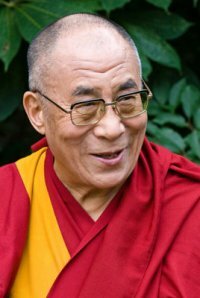 Such controversies are regrettable and could ultimately affect Indo-Nepal ties.” The next day, the cry was taken up by Himalayan Times, followed by a rejoinder by the Lumbini Development Trust, a committee formed in 1970 to develop the site recognised as the Buddha’s birthplace by the UN. The trust said the Indian scholars’ argument, based on a book written by an author from Orissa two decades ago, was “totally baseless” and it was ready to provide information to allay doubts about the sacred spot. “The world knows that Lord Buddha was born in Lumbini and the famous Ashoka pillar (marking his birthplace) still stands there,” it said. “The site is enlisted in the World Heritage Site by the UNESCO. The UN has therefore recognised Lumbini as the birthplace of Gautama Buddha… if Lembei is the real Lumbini, what can one say about Buddha Gaya (Bihar), Sarnath and Kushinagar (UP)? Are all the three sites, historically recognised as places of Bodhi (enlightenment), Dharmachakra pravartana (teachings) and Mahaparivirvana (death) fake because they are not in Orissa? “We request scholars.” it added, “not to create unnecessary confusion about this issue by ignoring the truth established by the historians”. A Nepalese NGO, the Explorers Nepal Group, has joined the protests, praising Nepal Samacharpatra for taking up cudgets on Lumbini’s behalf, Sarvendra Nath Shukla, Nepal’s Minister for Culture, Tourism and Civil Aviation, expressed confidence that history would uphold Lumbini’s claim on the Buddha. Indian national daily The Hindu published on Nov. 13, 2003, a news item on this issue. The news is as follows: The Orissa Government will have the Utkal University of Culture examine a Kolkata scholar’s claim that Kapileswar, near here, and not Kapilvastu in Nepal was the birthplace of Buddha. At a press conference the State Culture Minister, Damodar Rout, said if the scholar, Satyakam Sengupta’s claim was found true, then the State Government would ask the Centre to conduct excavations in and around Kapileswar. Mr. Sengupta said several factors had led him to conclude that the Buddha was born in Kapileswar village. While an Asokan pillar found in the village said, “Buddha was born here”, a pillar found at Kapilvastu said “Buddha was born here”. Also, Buddha’s eci.gs were in Pali language, which was spoken in Orissa and not in Nepal. 1. Arnold, Edwin, 1879, Light of Asia. 3. Devraj, Dr. Nanda Kishore (ed. ), 1975, Bharatiya Darshan (Indian Philosophy), Lucknow: Uttar Pradesh Academy. 4. Bapat, P.V.(Ed. ), 1956, 2500 years of Buddhism. New Delhi: Publication Division, Ministry of Information and Broadcasting, India. 5. Snelling, John, 1987. the Buddhist Handbook, London: A Rider Book. 6. Singh, Avadesh, 1987. Chini Yatri Yonke Yatra Bibaran Mein Pratibimbita Baudha Dharmaka Ek Adhyayana (A study of Buddhism as reflected in travel accounts of Chinese travellers). New Delhi: Ramananda Vaidya Bhawan. 7. Niwano, Nikkyo, 1980. Shakyamuni Buddha. Tokyo: Kosei Publicity Company. 8. Munshi, K.M., & R.R. Diwakar (Gen. Eds. ), 1968. Great Religious Leaders. Bombay. Bharatiya Vidya Bhawan. 9. Radha Krishnanan, Dr. S., 1968. Religion and culture. 10. Archaelogist P.C. Mukherjee’s Antiquities of Kapilvastu quoted by Ram Niwas Pandey in The Voice of History. 12. Allen, Charles, 2002. The Buddha and the Sahibs. London: John Murray. 13. Prof. A.T.D.E. Perara, 2004. Piprahawa Vs Tilaurakot. Lumbini: International Buddhist Society. This entry was posted on December 20, 2009 at 8:24 am	and is filed under Article. You can follow any responses to this entry through the RSS 2.0 feed. You can leave a response, or trackback from your own site. For centuries, pilgrims searching the Himalayan foothills for the birthplace of Lord Buddha were sent in two contrary directions: India and Nepal. But now the dispute over where the Buddha was born 2,000 years ago may have been solved. Archaeologists have discovered a stone which marks the Buddha’s birthplace under an ancient temple in south-western Nepal. Relics were excavated from a chamber 16ft under the Mayadevi temple in Lumbini, 200 miles south-west of Nepal’s capital, Kathmandu, which archaeologists say proves that this was where Buddha was born. 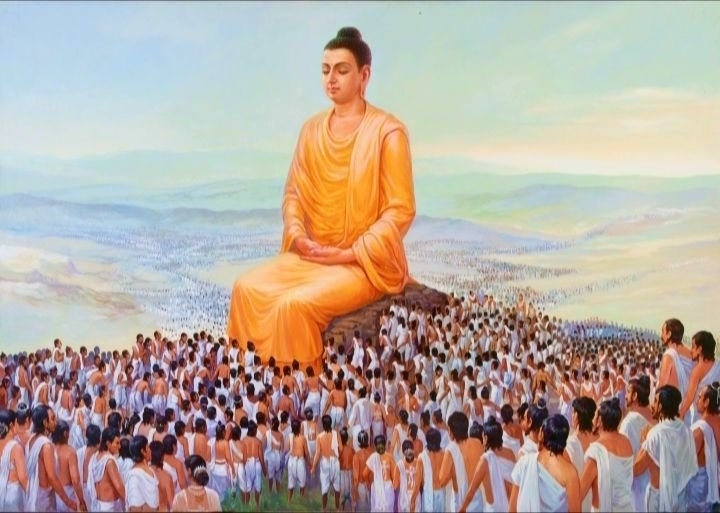 Buddhism has 300 million followers around the world, mainly in Asia, who know by heart the story of how Buddha was born while his mother, Queen Mayadevi, was travelling towards her parents’ home in Rangram, located in Nepal’s Nawalparasi district, when she felt birth pains. Passing through Lumbini, she went into labour, bathed in a sacred pond and then walked 25 paces into a grove of trees to deliver her child. Buddhists believe that the baby sprang out and miraculously took seven steps. Nepali officials claim that a commemorative stone was found exactly 25 steps from the pond. First read history thoroughly and view from archeological perspective. Only then proceed to write. this web page conations genuinely pleasant funny material too.